Nestled in the 100 block of Main Street in the heart of downtown Safety Harbor, just steps away from the Safety Harbor Resort and Spa where Pick Your Poison Cupcake Cafe used to be. 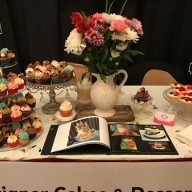 Designer Cakes and Desserts Bakery and Cupcake Shop offer a wide variety of delicious, made-from-scratch cupcakes and cakes for all occasions. The owners of the cake shop, Shelly Chandler and her daughter, Sarah LaBelle have made this bakery their life’s work and passion. Always concentrating on high-quality ingredients and the ‘most amazing tasting desserts ever’, they have perfected their recipes to be one of a kind, delights. Our menu features a variety of cupcake flavors daily (including gluten-free options) as well as new flavors each week. Come see what delights we have for you today! 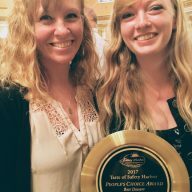 People’s Choice Award (Best Dessert) 2017! 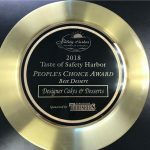 On January 16, 2017 at the Taste of Safety Harbor at the Safety Harbor Resort & Spa, Shelly and Sarah won the People’s Choice Award for the BEST DESSERT! Going up against dozens of other restaurants in Safety Harbor, they offered a sampling of delicious mini cupcakes and our signature mini fruit tart. The fans raved and we took home the gold (plate)! We are very honored and proud to be chosen for this special award. 1st Place Winner of Cake Decorating Competition 2015! 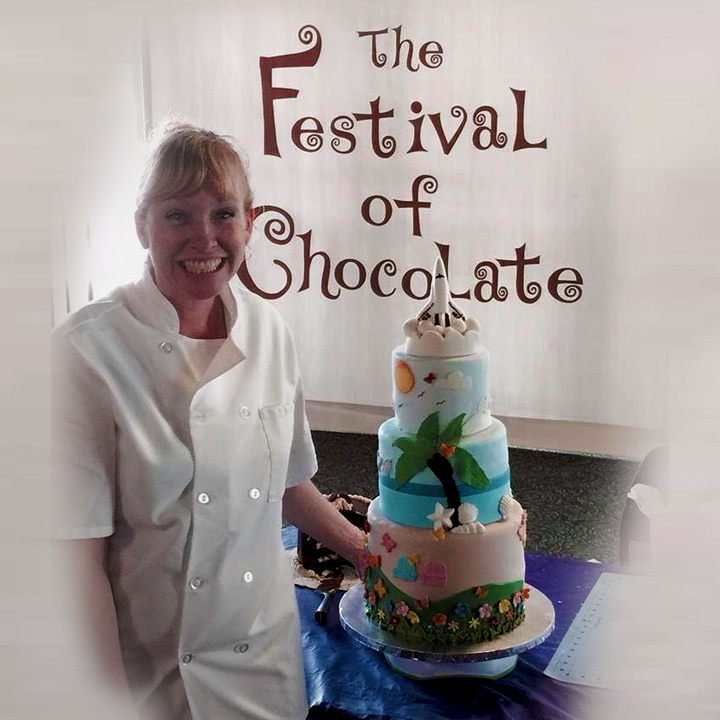 On April 19th at the Museum of Science and Industry 5th Annual Festival of Chocolate, bakery owner, Shelly Chandler, won 1st Place in the cake decorating competition against several other established bakers in the Clearwater/Tampa area. The competition required a “springtime in Florida” theme, a cake that was at least 3 feet tall, all edible and had at least 3 tiers with 2 hours to completely decorate the cake. 50% of the vote was based on flavor with the other points being creativity, cleanliness and overall appearance and use of theme. Shelly won the competition and took hold the gold!